Caprica is a series that premiered on January 22nd, 2010 on the SyFy channel. There are five episodes up on Hulu right now for anyone that is interested. These are the first five episodes, so if you watch those, then you will be all caught up. Caprica takes place 58 years before the events depicted in the BSG series, and focuses on the creation of the artificial intelligence that will go on to drive the Cylons. 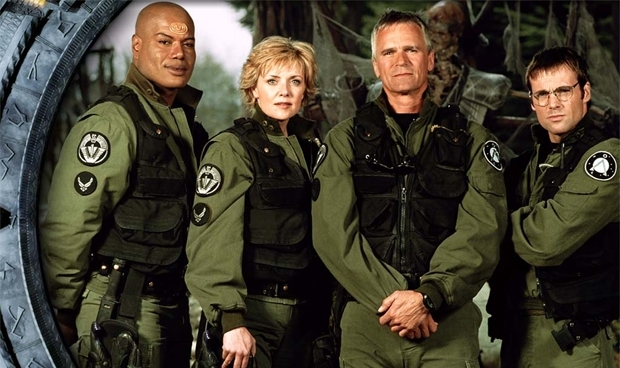 I would recommend watching the Battle Star Galactica Series before watching Caprica, if you want to know why things are happening the way they are in the show. Of course you can take the sequential route, but that will mean you will have to wait as the Caprica series is on going. 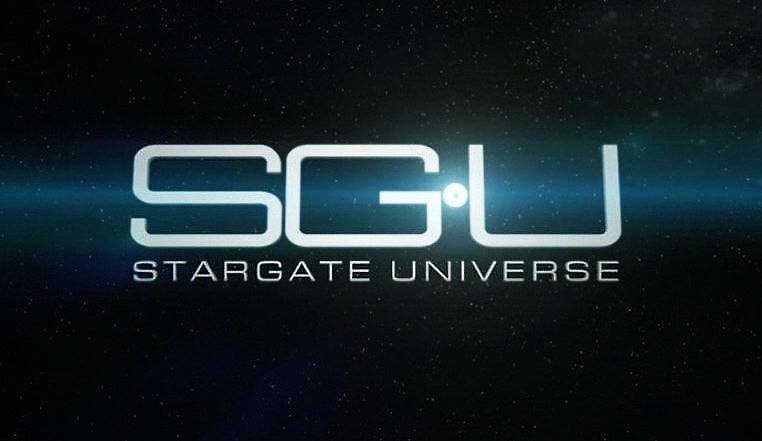 I am watching the show in part because I loved BSG, but I am also hoping the show will fill in a big gap in the story lines logic. I am referring to the source of the man made Cylons vs the ones from the original planet earth. I will digress a bit to fill you in, because I am not sure how many of us picked up on this little discrepancy. In BSG we find out that the nuked earth they land on was occupied entirely by a Cylon race. Seven survive and I believe are referred to as the original 7. They are said to be the ones responsible for the Cylons leap forward in technology and why the Cylons now look human. The problem is that humans created the Cylons, they went on to evolve and then went to war with humans. This leads me to believe that humans did not create the original 7. If that is the case than why are the Cylons that look like us at war with humans when we did not create them? I am hoping this little question will be explained to us throughout the course of Caprica. As I said before, Caprica takes place 58 years before the events depicted in Battle Star Galactica; on the planet known as Caprica. It is one of twelve planets in which the human race inhabit. The main character is named Zoe and she is the one responsible for writing the program that leads to AI. She is played by Allessandra Torresani and her character is named Zoe Graystones. Her father Daniel Graystone is played by Eric Stoltz. He is the CEO and owner of a company that is developing the Cylon technology. Bill Adama is in this series, but as a child. As I said before, Zoe Graystone created a program that leads to AI. She essentially creates a carbon copy of herself in the virtual world and it is this copy that drives the show. Her real world counter part gets blown up in a terrorist bombing of a train. Zoe got on this train, because she was headed to Gemenon. Her goal was to bring the word of the one true god to the world. The artificial Zoe was somehow going to make this possible. We do not yet know the full implications of this because the show is ongoing. It turns out that her boyfriend at the time was the bomber. He is a member of an orginization known as “The Soldiers of the One”. Because of this Zoe gets implicated in the bombing, during the show, even though she had no involvement what so ever. This fact adds more stress to the relationship between the Graystone and Adama families. While all of this is going on Zoe’s father is struggling to develop the Cylon robot for a government contract that they have. He cannot make it work successfully, because a sufficient artificial brain has yet to be developed. We hear mention of this in the first few episodes and we are lead to believe that a rival company may have cracked the technology for a brain. If that is true than all that would be needed is the AI programming. Put that into a Cylon body, and the Cylons will have been officially created. Zoe’s parents are left with the struggle of dealing with the loss of their daughter. William Adama’s mother and sister was on the train as well and this plays into the show. We see how Joseph and his son cope with the loss. Zoe’s friend, Lacy Rand is played by Magda Apanowicz. She was supposed to be on the train with Zoe, but she backed out at the last moment; unknowingly saving her own life. Her role will now be to see Zoe’s plans through. She has to get the AI program to Gemenon to fulfill its purpose. Whatever that was. That is essentially the premise of the show. We get to see the events that played out that lead to the creation of the Cylons. 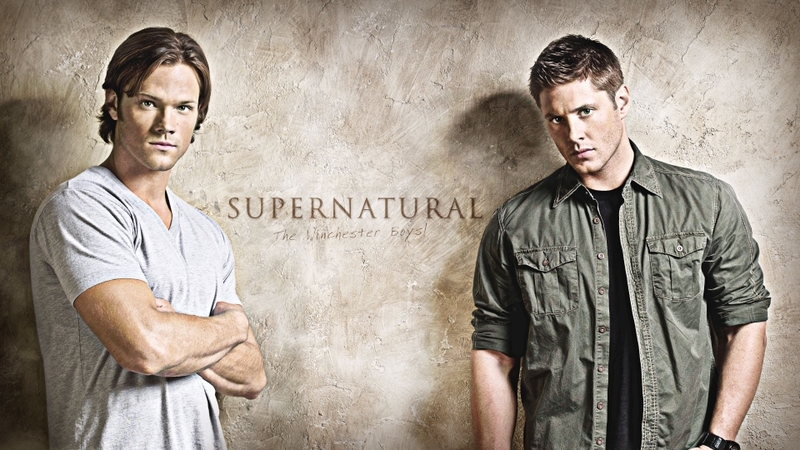 I have only seen the first five episodes. 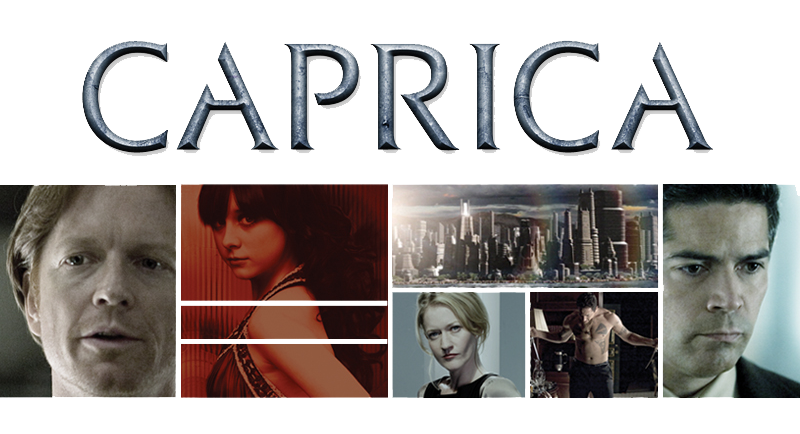 There is a movie called Caprica that was released before the television series. If you have not seen this than I highly recommend it. It was a good movie. If you have seen this movie than you will know that the first two episodes of Caprica is essentially the movie split into two parts. Not exactly but they are similar. Unfortunately they are not similar enough to escape watching the first two episodes. Which is no big deal, because the acting is great and the stories a equally as good. I would have to recommend the movie as well as the series to anyone that has not seen either. I can not wait for the next episode.